LAKE MACBRIDE— The first share from the Community Supported Agriculture (CSA) farm was ready yesterday— asparagus, lettuce, baby bok choy and Asian greens. Anticipation over spring and summer cooking is building, even if living on bits and pieces from the pantry will continue until the full flow of local produce is unleashed. Picking up the share at the farm was a fine beginning. We had more than two inches of rain since Earth Day, so outdoor plants are growing. The garden is too wet to work, although as soon as the soil dries, seedlings are ready to go into the ground. Meanwhile I will go on living in society, and that is today’s topic. The phrase “in society” has a particular usage here. It is part of a spectrum of relationships with people that contrasts with “chez nous,” the French term that refers to “at home” or “with us.” Maybe there is something else on this jumping green sphere (thanks Lord Buckley for this phrase), “outside society” or “foreign,” but most of our lives are spent chez nous or in society. My tag “homelife” could be changed to “chez nous” and sustain the meaning. Living in society is that set of relationships which sustains a life on the plains. It includes friends, family, neighbors, workplaces, institutions, retail establishments, and organizations with which we associate or interact. The relationships are interpersonal, that is, specific people are associated with each part of society— it is not an abstraction. When young, we don’t see our life in society this way. We had an ability to live in the moment without a history of interpersonal relationships, anchoring us into something else. As we age, we are more like a character in a William Faulkner novel that must work to suppress the endless flow of memory. If experience connects us, the way we live in society is based on thousands of previous interactions. For example, someone ran for the U.S. Senate after a long, productive life. If I saw him today in any of a number of settings— at a retail store, at the retirement village, at a literature reading, at a veterans meeting, at a public demonstration— I would think of the courage he displayed by taking on personal debt to challenge an entrenched incumbent politician who would otherwise have run unopposed. I would also think of our many conversations over a period of years. Our relationship is driven by my respect for his courage, and I picture him when I think about the associations we share. When I use the phrase “in society,” it might be referring to an interaction we had, or one like it with someone else. My usage of the phrase “in society” may have been explained by others who are smarter, but because it is organic there is a peculiar sense to it on this blog. It is personal, but not really, because is it also public. I am entering one of the richest periods of personal interaction in life. Old enough to have had experience, and young enough to gain new ones. Each day’s potential is vast midst the galaxy of people with whom I interact. Favoring the phrase “in society” enables me to talk about them without revealing where the specific interaction may have occurred. This protects people from unwanted intrusion into their lives, and enables the writing I do for a couple of hours each day. 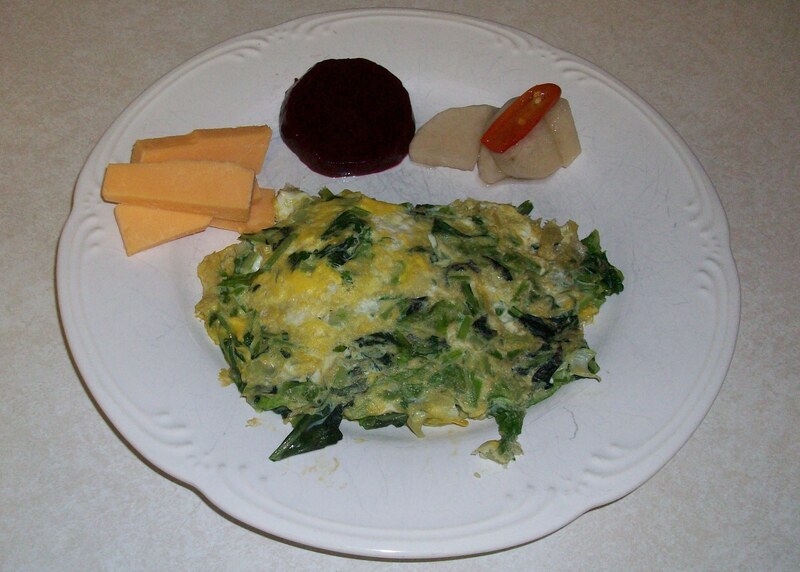 Chez nous, we would have had breakfast of Asian greens mixed with scrambled eggs, Vermont cheddar cheese and pickled veggies from last season. In society I am part of the local food movement and post photos of my breakfast. Maybe I am drawing a fine line, but it is an important one for a writer. This entry was posted in Local Food, Social Commentary, Writing and tagged farming, Garden, local food, sustainability, Writing. Bookmark the permalink.